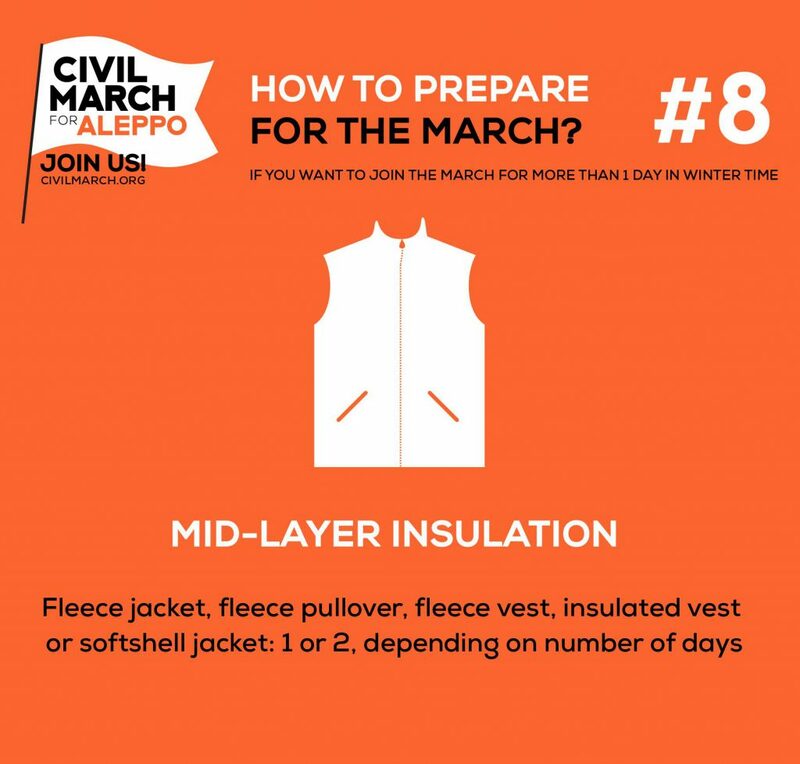 We get a lot of questions in the comments and in your messages as to how to best prepare for joining the March. 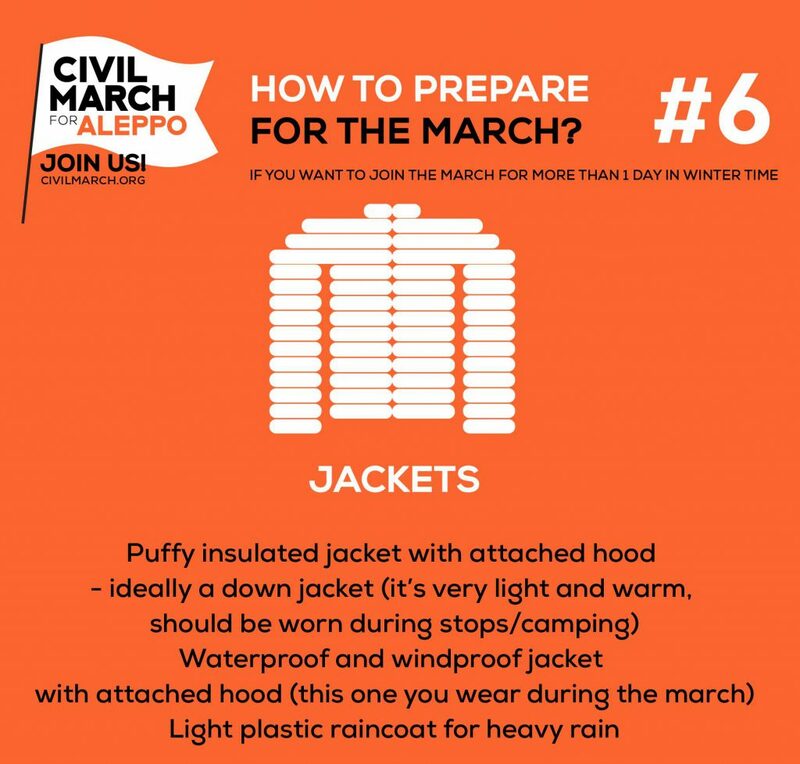 As you know, we are working on trying to secure different spaces for accommodation during our March but we cannot guarantee it will be possible everywhere and for everybody. 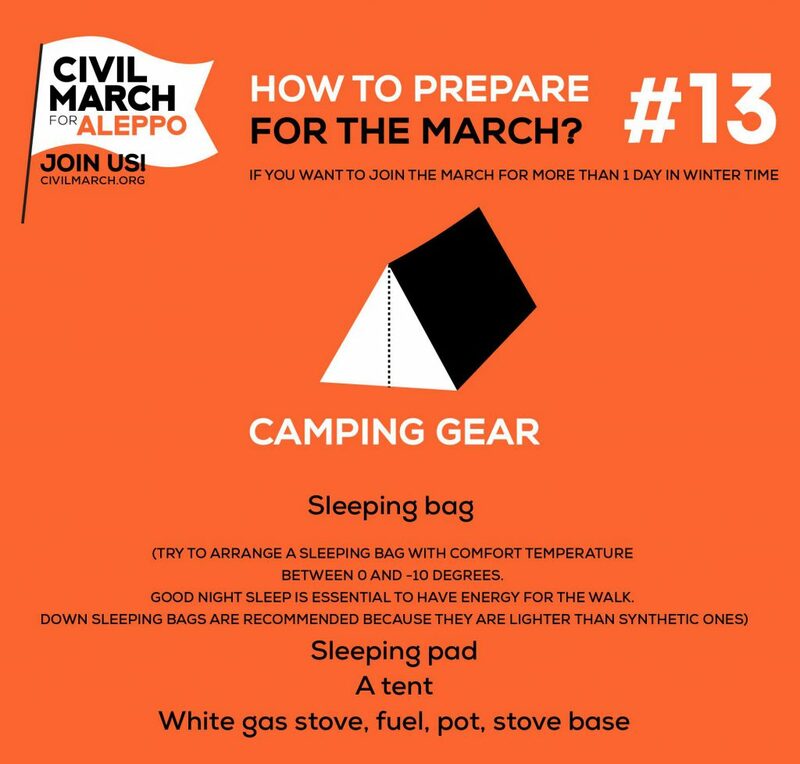 We are doing our best but seeing how we’ll be sometimes stopping in rather remote areas (and that cannot foresee how numerous we’ll be at any given time), there might not be any other option than camping out. 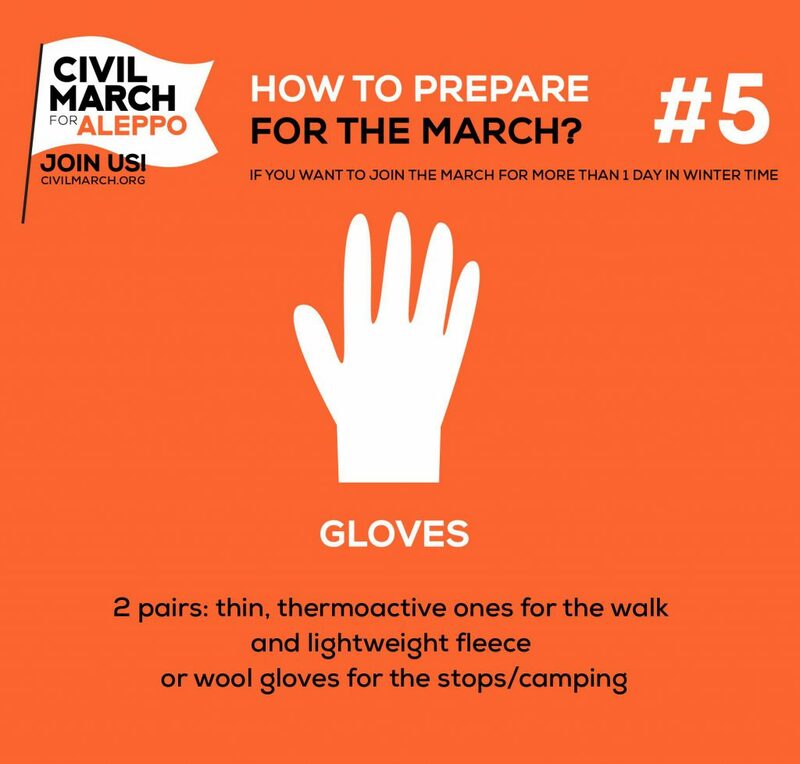 And to those of you who have not camped out or hiked in winter time – it’s not a joke and you have to come prepared. We’re not saying this to discourage you from joining but to help prepare you as best as we can. Your health and safety are of the utmost importance and unless you’ve the right clothes and equipment, you can get sick or hurt. 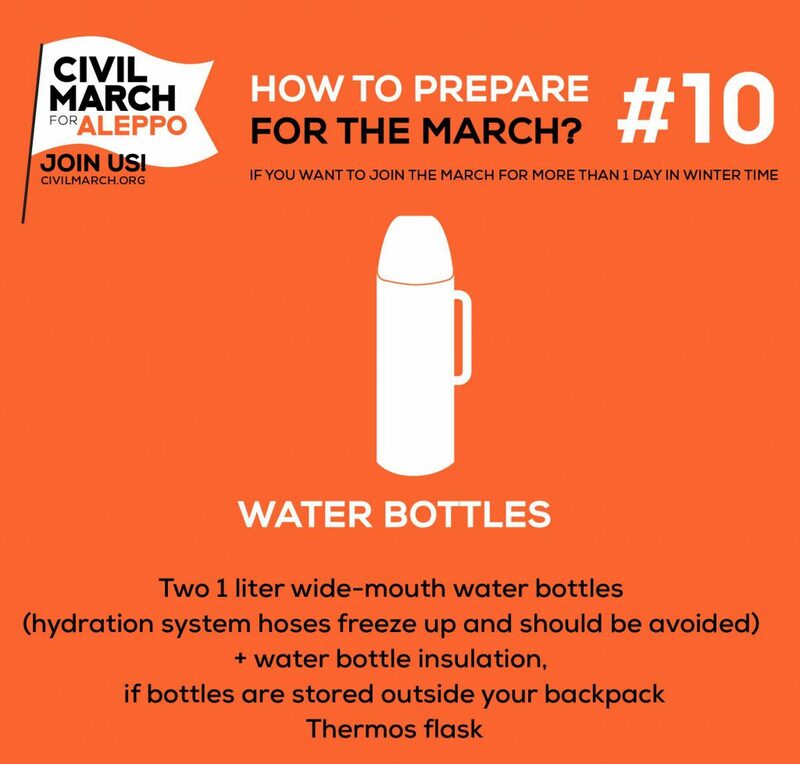 As every marcher has to be self-sufficient, you must ensure you’ll have everything you need for a safe experience. 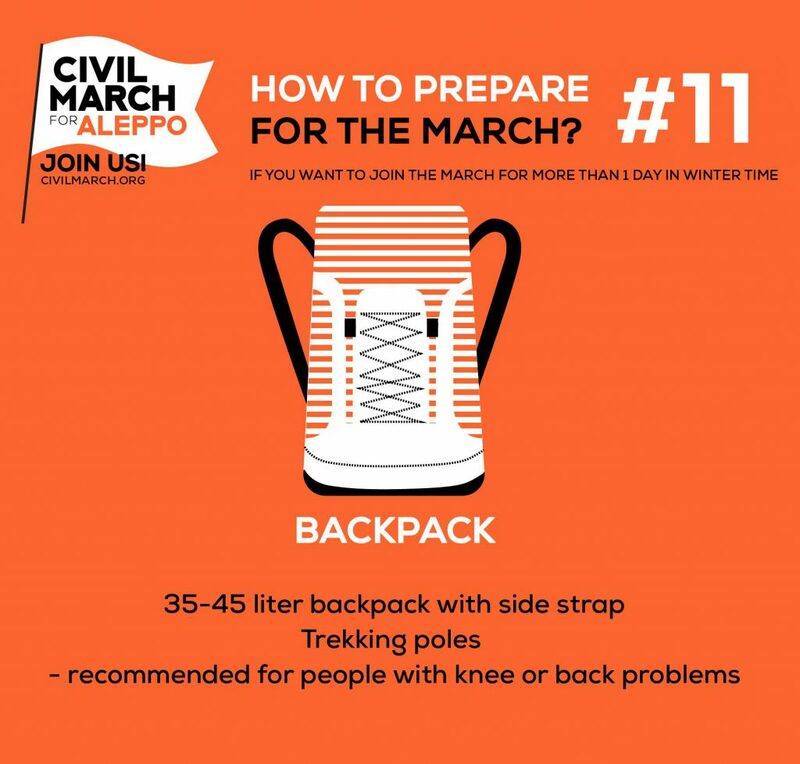 However, we know that not everybody joining us has experience in winter hiking (who does? 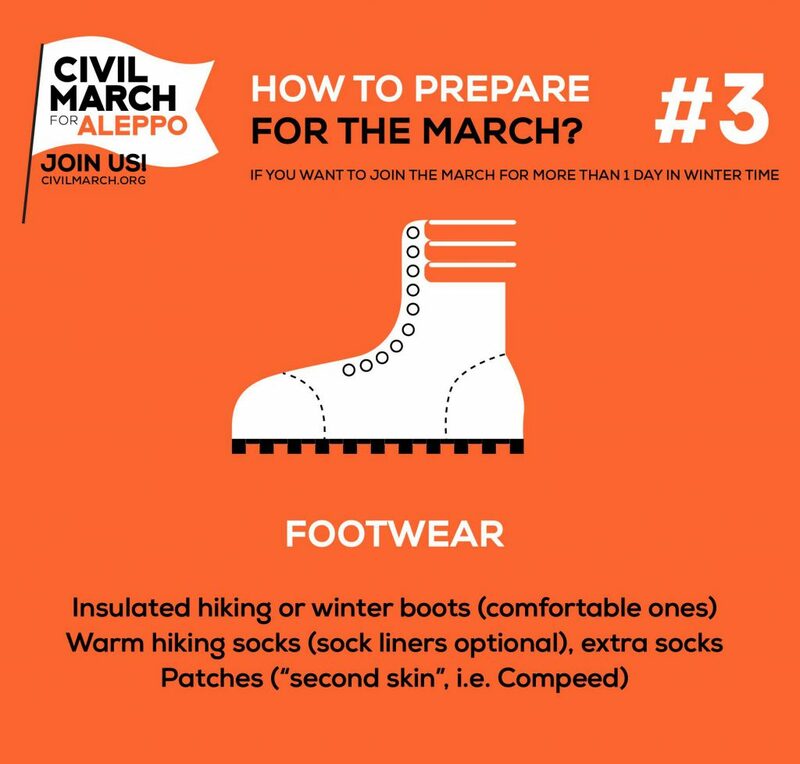 ), so we sat down with some seasoned hikers from the organising team and created a list of recommended gear for anybody wanting to join us for more than a day (that is, planning to spend at least one night with us as well). Our graphic designer turned it into a series of images, to help explain what is needed and not overwhelm you with what might seem like an endless list… (safety first!). You might already have some of the gear mentioned, you might need to buy some of it, most of it will probably be easy enough to borrow when you ask around among your friends and family members. Let’s have a look at the list, then! 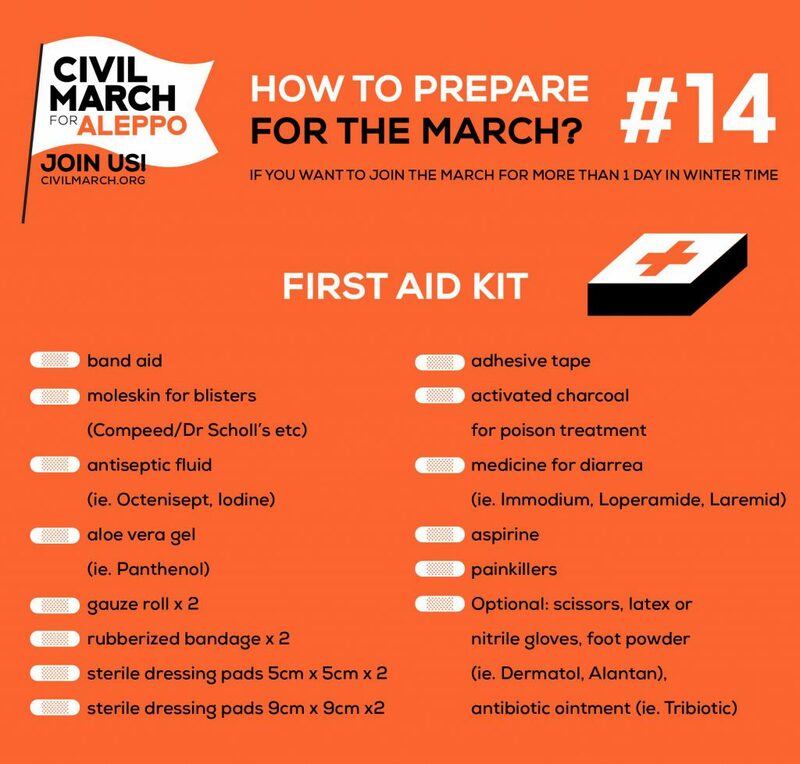 You have to remember that we aren’t any organised political or diplomatic initiative and while we are cooperating with the police, getting necessary permits for organising and leading the March (aka public assembly), we are in no way able to provide you with necessary travel documents and permissions. 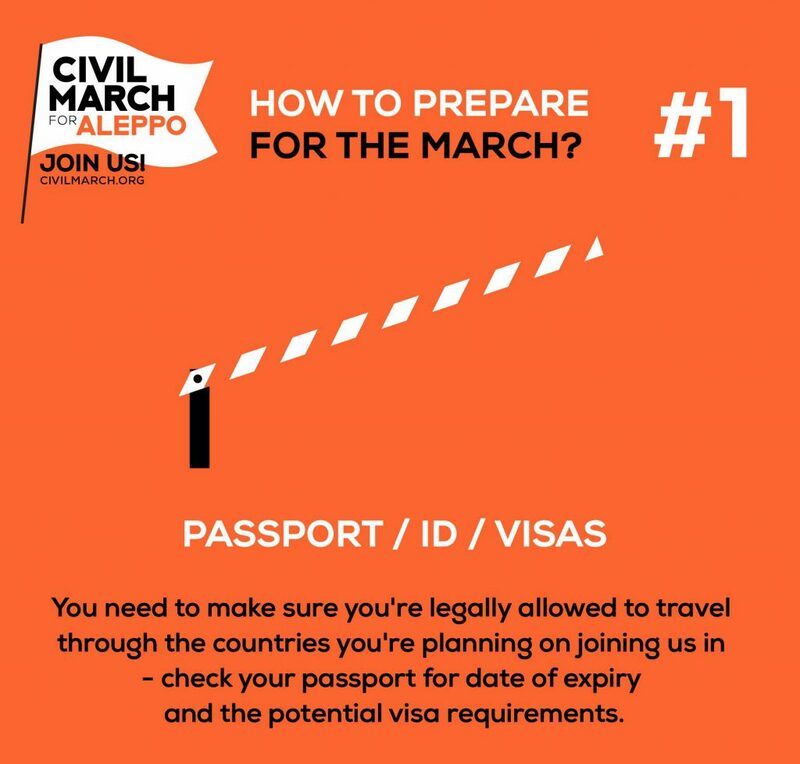 You are responsible for being legally able to join the March in the countries of your choosing. So if you’re a EU citizen and want to join us in the EU, you might only need your ID. If you want to join us for parts of the route outside of the Schengen area, you need to bring your passport and check for visa requirements, and apply for it where and when needed. Accordingly, to the people planning on joining us from the US or Asia: please make sure you obtain all necessary travel documents. To all our Syrian refugee friends, as we know so many of you want to join us: please do so only in so far as your refugee status allows it. We are super happy and honoured that you want to join us and your support means a lot but your safety is most important to us. 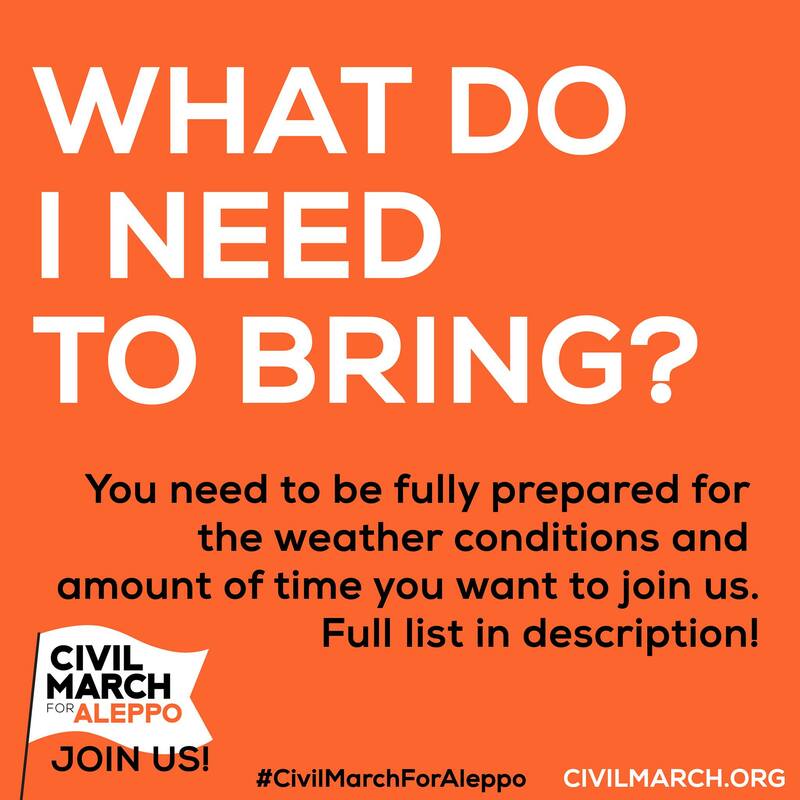 Please make sure that joining us doesn’t complicate your legal situation as a refugee. 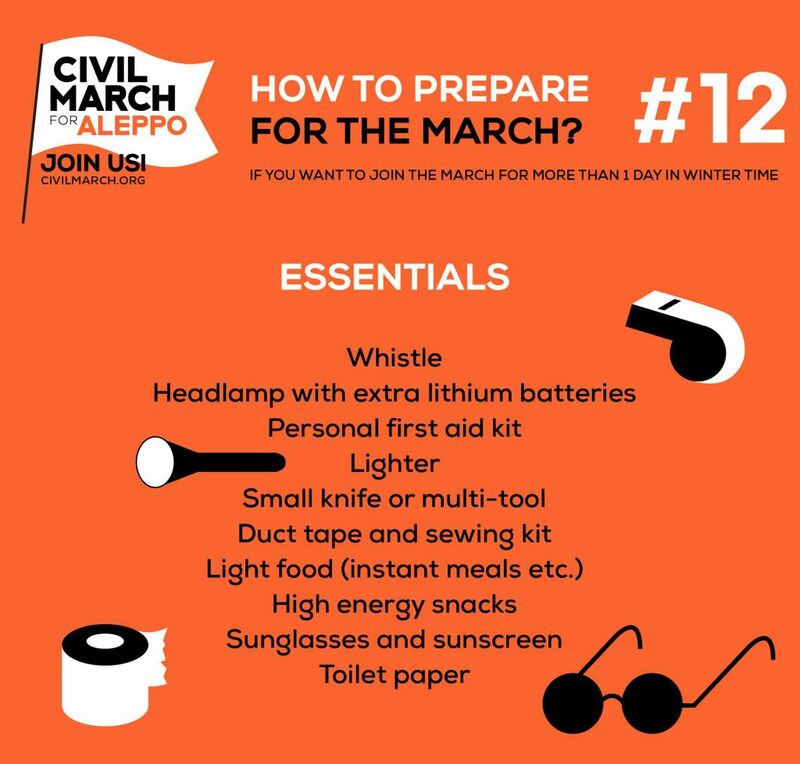 If the march is going through the country in which you stay legally, join us. But if you don’t have visa for other countries, please don’t risk by joining us. 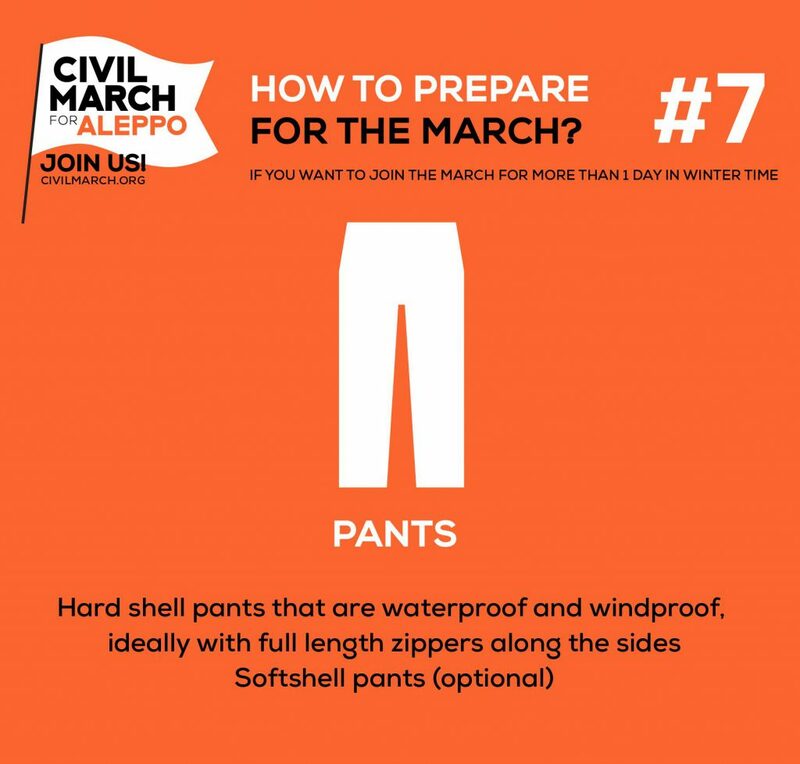 Even if you’re joining us just for a day of marching, proper clothing will be most important in assuring your comfort and well-being while traversing many kilometres of roads. 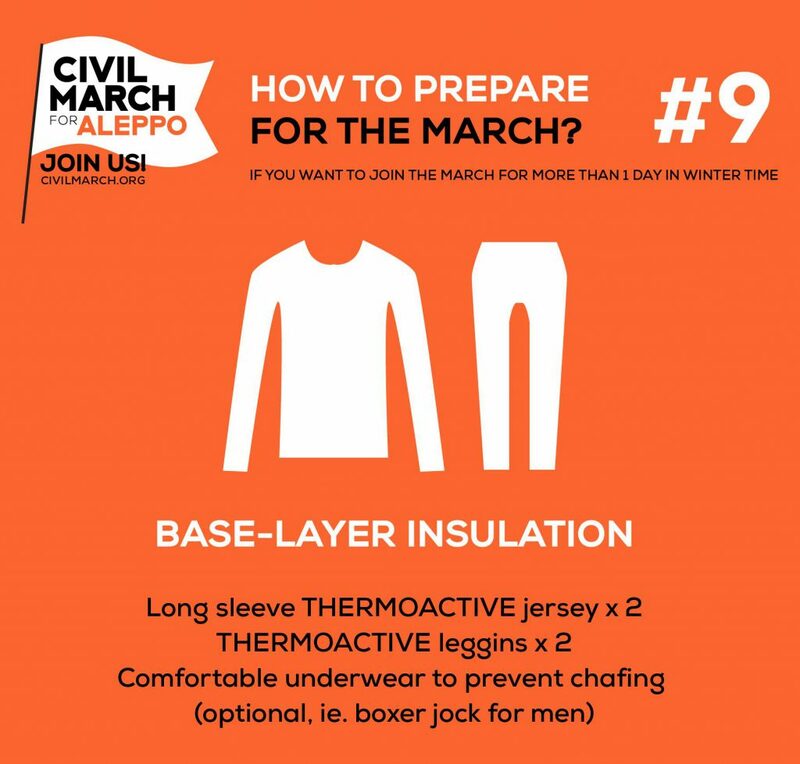 If you’re joining us for longer, wearing thermoactive clothing is a MUST. While you might be able to comfortably spend a couple of hours outdoors in your regular clothes, hiking for hours on end, day in day out, is a completely different thing. 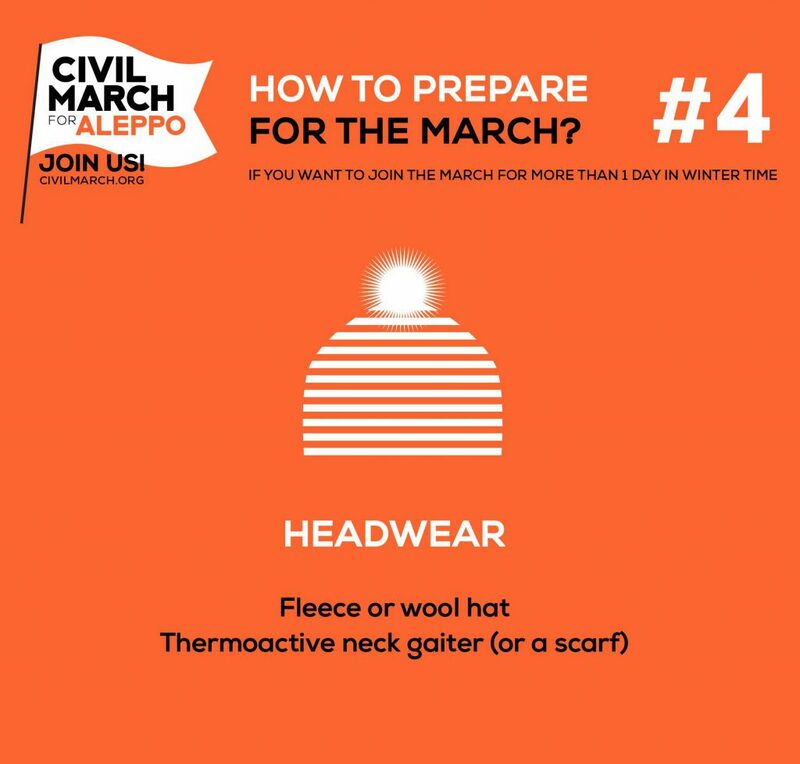 You need clothes that breathe, so that even if you sweat (and you will) and the clothes get dump (and they will), you will not feel cold. 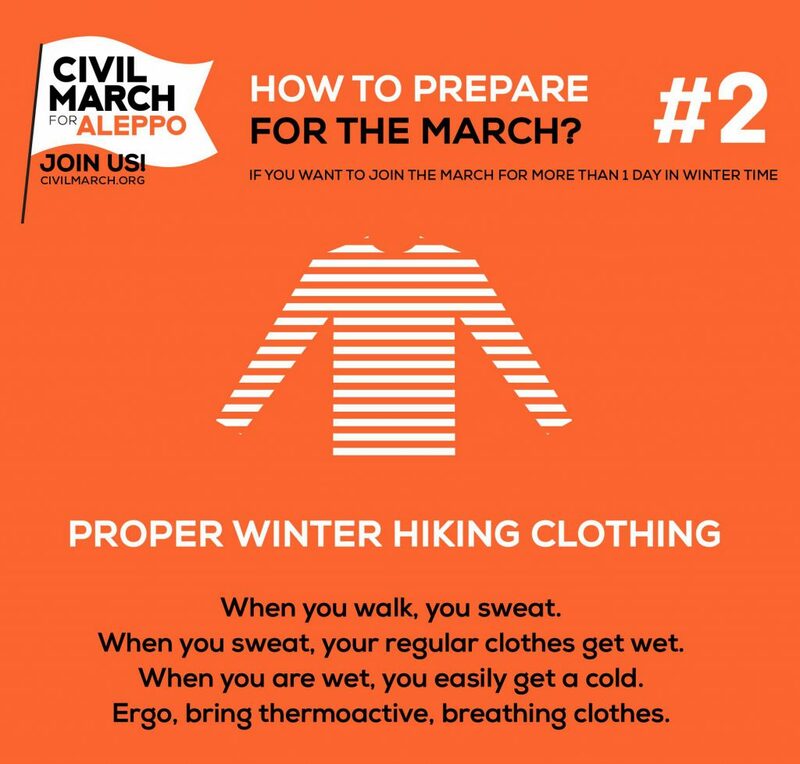 Thermoactive clothes also dry out a lot faster than “normal” clothes, which is essential when hiking in cold and wet winter weather. We also remind you about the FAQ section, where you’ll find more answers to some of the most commonly asked questions!